The decision of Bank Indonesia was expected by market participants, especially after the US Federal Reserves had raised their key rate overnight by 25 bps to the range of 2.00 - 2.25 percent (which was also in accordance to expectations). Monetary tightening in the world's top economy causes capital outflows from emerging markets and therefore Bank Indonesia is eager to make Indonesian assets more attractive by raising its key rate accordingly. Bank Indonesia raised its benchmark interest rate for the fifth time since mid-May 2018. In a statement it said the rate hike was particularly an effort to push Indonesia's current account deficit (CAD) within a manageable threshold. The central bank targets to have the CAD at 2.5 percent of the country's gross domestic product (GDP) in 2019. According to the latest data Indonesia had to cope with a 3.0 percent of GDP CAD in Q2-2018 (a significantly wider deficit compared to the CAD in the same quarter one year earlier). The rate hike is also conducted with the aim to strengthen the rupiah exchange rate which has been weakening to a near-20 year low against the US dollar amid heavy external pressures. Besides using the benchmark rate as tool to defend the rupiah, Bank Indonesia also implemented domestic non-deliverable forward (DNDF) transactions in order to accelerate foreign exchange market deepening, while providing alternate hedging instruments for banks and corporations. However, based on the Bloomberg Dollar Index, the rupiah actually started to weaken after Bank Indonesia's announcement. 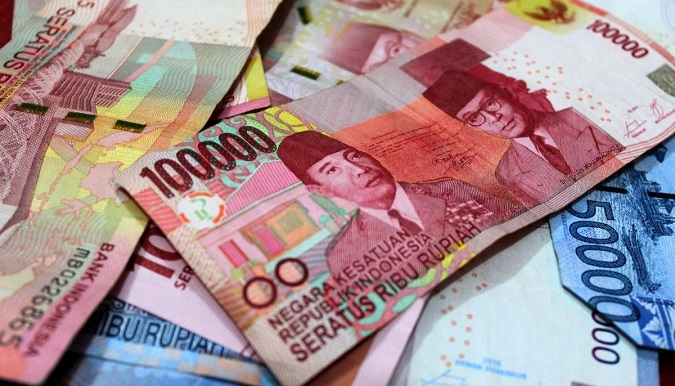 Earlier in the day the rupiah was slightly strengthening against the US dollar. However, by 15:45 pm local Jakarta time on Thursday (27/09), the rupiah had depreciated 0.10 percent to IDR 14,925 per US dollar. Indonesia Investments expects to see one more rate hike in Indonesia (in December 2018 when the Federal Reserves is also assumed to raise its benchmark rate). This would take Indonesia's benchmark to 6.00 percent at the end of 2018.